My little eight-year-old Colombian princess has let her heart’s desire be known….. a bunny. A real live bunny that is white and can be held and hugged and rubbed by equally soft cheeks. 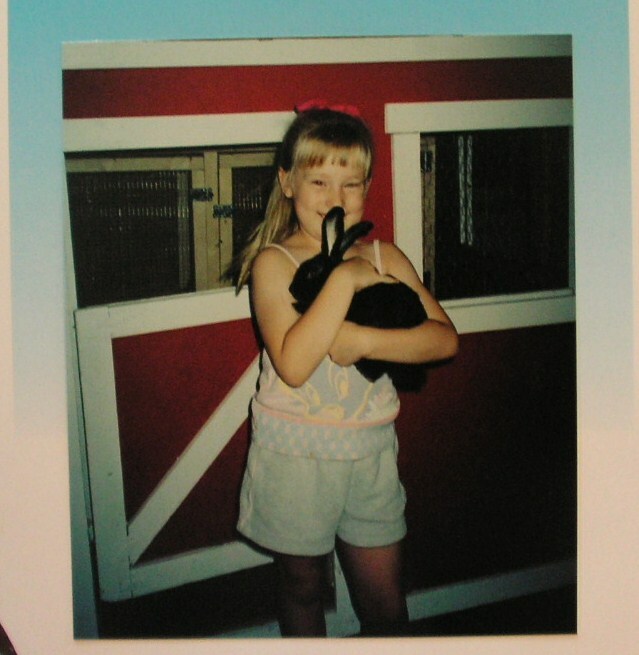 Pet purchasing rules were established in the Crosby home more than 10 years ago. Hard work must be endured not only to earn the money needed but to finish Mama’s check-off list. What list? you ask…. let me share my “you’ll never be able to get this done” list. Research specific pet care including, but not limited to: handling, feeding, cleaning, exercising, cage building, doctoring, etc. Make a list of necessary equipment. Do market research at two stores for most economical prices. Volunteer at shelter for these types of animals. Make friends with neighborhood green grocer to hook up for discarded veggies…. for FREE. That is all. Unbelievably to me, my first eight-year-old daughter finished the list… and on hers there was the additional item of “Paint the barn/playhouse for the bunny.” I learned that an eight-year-old with a dream is quite unstoppable. So, here we go again. The Colombian princess is an animal lover, no doubt, as she is drawn to every animal she comes into contact with like a fly to flypaper. But I will not be swayed from the Crosby Pet Purchasing rules of engagement. I mentioned the NEED for a rabbit at a homeschool outing this week and another mom about burst her britches telling me that we could have her daughter’s rabbit for FREE… cage and all. Thankfully, Nora was not in the room at that time, or I’d hear no end to it! After a nice Mexican feeding, I brought up the subject with my husband, Mr. Wallet. His nose wrinkled up… sort of like a bunny, actually, and he spit out, “I hate rabbits. They stink!” Every party has a pooper…. and I gently persuaded the acquisition of another pooper for the family. The decision has not been made as of yet, so the Pet Purchasing list has not been typed. I’ll keep you posted.